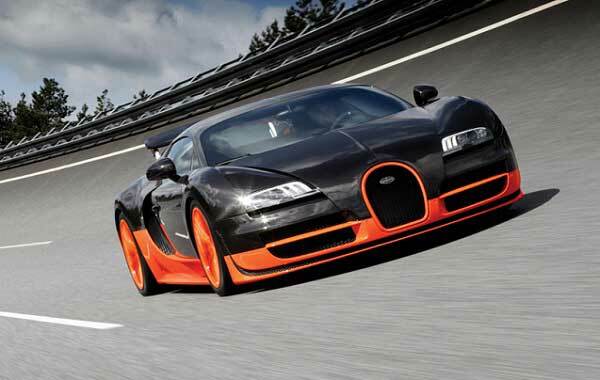 Bugatti Automobiles S.A.S is one of the best high-performance luxury car manufacturers in the world. All the cars produced by the company are renowned for their class, style, performance, and comfort. From the beginning of the Bugatti history, the company has a legendary reputation for building some of the most expensive and luxurious sports cars. We’ll talk about the Bugatti logo, history timeline and list of latest models below. Following the success and reputation of his first vehicle, Ettore approached the ‘De Dietrich Company’ to ask them to produce his vehicle. After facing a few minor challenges, the license was finally granted. Since, Bugatti was only 21 years old (a minor) his father signed the contract on his behalf. However, a few years later, the contract was terminated. During this time, Ettore decided to join Emi Mathias, but that contract didn’t last long either. Regardless, Ettore wasn’t put off by the contract terminations and pursued his dream by opening his own plant. Therefore, in 1909 he sought financial help from de Vizcaya and founded the ‘Automobiles Ettore Bugatti’ in Molsheim, Alsace, France. In 1910, the first machines for the Bugatti plant had been delivered. Therefore, the company soon began production of vehicles. A total of five cars were built that year, all of which were sold. The same year, Ernest Fredrich (Ettore Bugatti’s Assistant) participated in numerous races. This marked the beginning of a successful car company on the racing circuit. In 1911, Bugatti won several races, including the French Grand Prix with its Model 10. 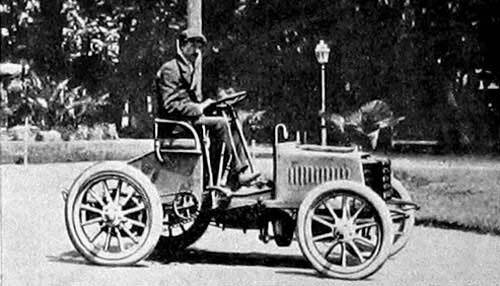 The same year, Bugatti and Peugeot entered a contract and produced the Bebe Peugeot with a Model 19 Engine. Two years later, Bugatti began production of airplane engines for the war effort and this helped the company raise capital to increase production and hire more employees. By the end of the war, Bugatti had more than 1,000 workers at the Mosheim Plant. In the 20s, Bugatti won the Voiturettes Grand Prix, introduced the 29/30 racecar, and manufactured the Model 35 which was the first Bugatti to use aluminum spoke wheels. However, the 30s proved to be a difficult time for the company. The company began production of railcars and trains and successfully managed to get back on solid financial ground, until the workers called a strike. In 1936, the entire workforce of Bugatti refused to work and demanded an increase in pay and better working conditions. Ettore was furious and took the strike demands personally, shifting his office to Paris. Towards the end of the 30s in Bugatti’s History, the company again faced financial difficulties. It was during this time that Ettore participated in Le Mans and brought an important win. However, the happiness didn’t last for long as Ettore’s son, Jead, died in a car accident. The company was already in financial turmoil and the death of Jean had scarred Ettore completely. He was unable to revive and resolve the rift at the Molsheim plant and couldn’t produce any new automobiles. In 1947, Ettore died due to a lung disease and the business declined further. 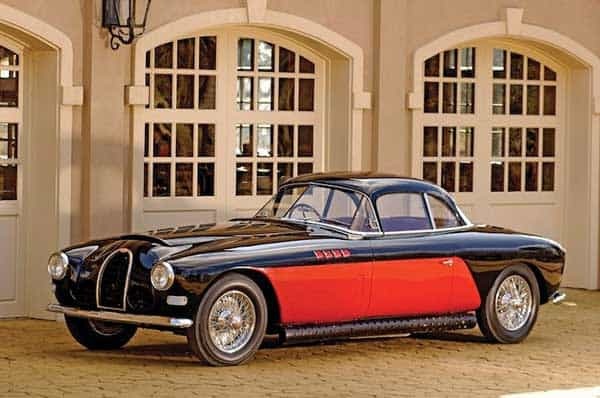 The company made its last appearance in 1952, at the Paris Motor Show, after which Bugatti ceased its operations. In 1955, Roland Bugatti tried to revive the company by introducing the Type 251 racecar. However, the vehicle didn’t meet the given expectations, thus car production was halted. 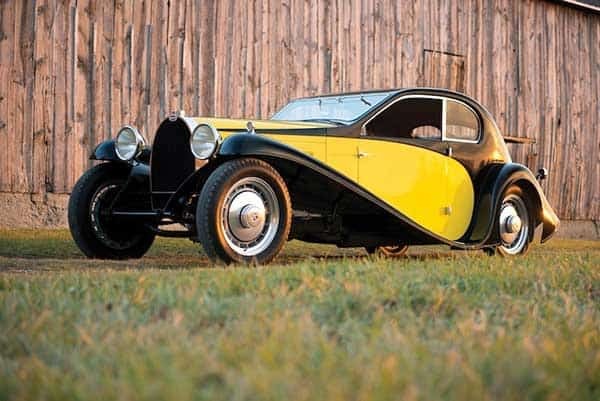 In the 60s, Bugatti entered a ‘Blank Period’ and was sold to Hispano-Suiza, who continued the operations of airplane engine and parts manufacturing. In 1987, Romano Artioli an Italian entrepreneur, acquired the Bugatti brand and renamed it to ‘Bugatti Automobili SpA’. Two years later, plans for a new Bugatti car were presented by designers of the Lamborghini Countach and Lamborghini Miura concepts. 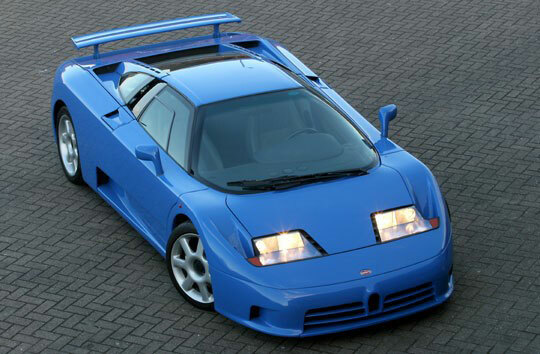 The new company then introduced their first production vehicle, the Bugatti EB 110 GT, in 1992. The car was advertised as the most advanced sports car ever produced. However, due to the poor economical conditions, Bugatti was forced to cease operations in 1995. Three years later, Volkswagen AG acquired the Bugatti brand and renamed it to ‘Bugatti Automobiles S.A.S’. The new company introduced numerous great concepts, including the EB118, EB218, and 18/3 Chiron. In 2005, Bugatti finally released the Veyron 16.4 which seemed to be a mix of all concepts introduced in the late 90s and early 2000s. The car became an immediate success and a total of 420 units were sold by 2013, each with a price tag of €1,225,000. Currently, Bugatti is one of the top French automobile manufacturers and operates as a wholly owned subsidiary of the Volkswagen AG presented as a luxury top class brand. Additionally, the company has two subsidiaries of its own, namely Bugatti Engineering GmbH and Bugatti International S.A.
A normal car runs with one radiator. 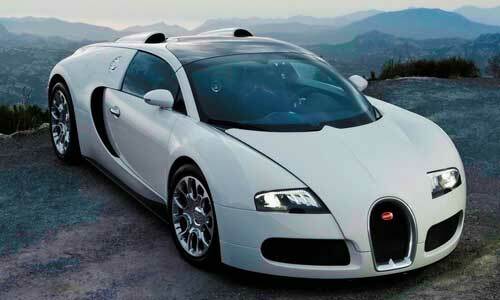 The Bugatti Veyron features 12 radiators to cool down its 16.4-liter 987 bhp engine. The fuel tank of the Bugatti Veyron alone takes more than 8 days to weld. Additionally, it takes more than 15 hours to build one radiator for the car. The Bugatti Veyron is held together with only 14 bolts. The rest of the car is welded. Not to mention, to service the car’s engine, the entire rear of the car must be removed. It takes $70,000 just to have the tires replaced of any Bugatti car. This is mainly because Bugatti cars use special Michelin PAX tires which cannot be found on other cars. Therefore, in order to get them replaced, the car has to be shipped to France. As you can see from Bugatti’s history,they have faced numerous difficulties and financial problems. Regardless, even after ceasing operations, the company was able to get back on its feet due to the reliability and quality of its vehicles and today exists as one of the top luxury racecar brands in the world.